With a high video consumption rate, Facebook is dominating the top spots in video consumption platforms across the internet. Though, it includes both landscape and square videos, being an influencer you must figure out whether square videos on Facebook or landscapes fare better. No doubt both the varieties have their own space in Facebook, but you can always pick the square videos to have an upper hand. In case you are unsure about how to create square videos on Facebook, we are happy to help you. In this article, we are going to explain how to create square videos that you can post on Facebook to gain more online exposure. Do you have any idea about when should you go square for Facebook videos? These videos occupy around 78% extra space of the mobile feed or News feed than landscape ones which makes it an ultimate choice for Instagram and Facebook videos. According to the social media management application Buffer, square videos and letterbox videos (1:1) format scored better in recent ads over social media accounts. The average views, engagements, and completion rate on mobile devices yielded the said result. You need to opt for square videos, while creating a video for social media platforms like Instagram, Facebook, Pinterest and Twitter. For mobile phone viewers, square videos on Facebook will engross more space and be prominently visible. Here are the aspects that you need to keep in mind, while creating square videos on Facebook. Avoid black bars/letter or pillar boxing and upload a high resolution video of at least H.264 compression, square pixels, with progressive scan, fixed frame rate and 128+ kbps stereo AAC audio compression. 9:16 to 16:9 video ratio. High resolution video with appropriate ratio and size constraints. Minimum 1 second to maximum 240 minutes long video. Vertical videos having 2:3 aspect ratio which might be masked to 2:3. If the video has links, a 25 characters’ link and 30 characters’ link description is what you need. If you post 360 videos, the aspect ratio tolerance needs to be 3%. 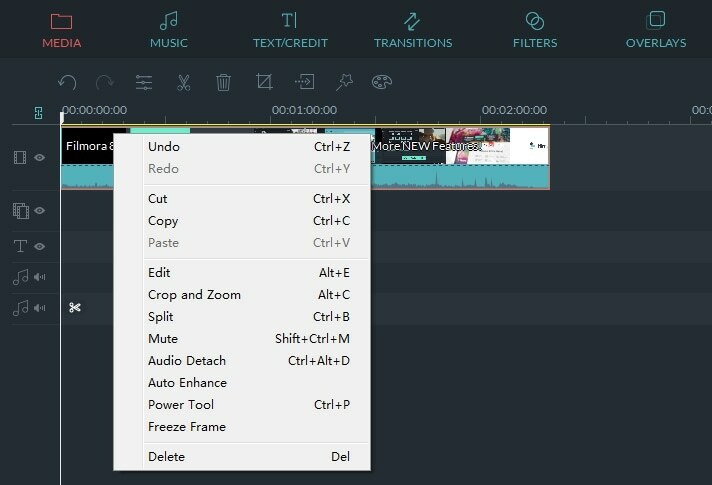 For creating square videos on Facebook, Filmora video editor is the best choice so far. You get to edit photos and videos with a range of features on your Mac or Windows computers as well as on your mobile devices using this application. Whether you want that perfect videos for your Facebook or Instagram post or wish to edit it for other social media platforms, the process is darn simple with brilliant outcomes. It is intuitive and quick to use and offers the best in the industry results to you. The software can do whatever you wish in video and image editing, starting from cropping, splitting, joining or flipping videos to ripple edit, adding logos or watermarks, trim or add and delete videos, rearrange playback order of clips within a track and lot more with great ease. First of all, you need to install the software on your Windows/Mac computer and then launch it. Go to the timeline panel media files and select the file after tapping the thumbnail. It gets imported to the Filmora interface. You got to right click on the selected video and then select ‘Crop & Zoom’ from the dropdown list. Now, on the edit panel hit the ‘Crop Clip’ button and select 1:1 from the bottom. The square video area can be adjusted from the preview window. Here, you need to press ‘OK’ and export the file to your computer. Later you can upload it on your Facebook account easily. Another way to edit square videos on Facebook is using Adobe Premier Pro. Though, it is a paid application the videos are quite impressive. It allows you flexibility for editing photos and videos with a wide range of features. First you need to import video to Premiere Pro. Go to File > Import, and then select the video you want to square. Next, drag the video to timeline. Click Sequence in the top, and then select Sequence Settings. First to seclect ARRI Cinema to activiate the settings. In the video area, adjust the frame size. You need to keep horizontal and vertical number the same in order to create square video. Here, we adjsut it to 600. Leave the rest options the same. Click OK. Export your video once the changes are satisfactory and enjoy! From the above article, we are sure that square videos on Facebook are significant for driving your popularity chart higher, when you create quality ones. And for making such amazing videos on Facebook, Filmora seems a crucial option for you. The amount of ease and kind of features it offers there is simply no match for it in the industry. At any point of time, you choose it as your most reliable video editing tool for Facebook and other social media platforms.